Value investing is one of the most solid and time-proven investment strategies. The statistical evidence shows that following a value investing approach can produce not only superior returns but also reduced downside risk over the long term. Smart value investing is not just about picking the best stocks in a particular market. Selecting the right markets can make an even bigger difference in terms of the value you can get. 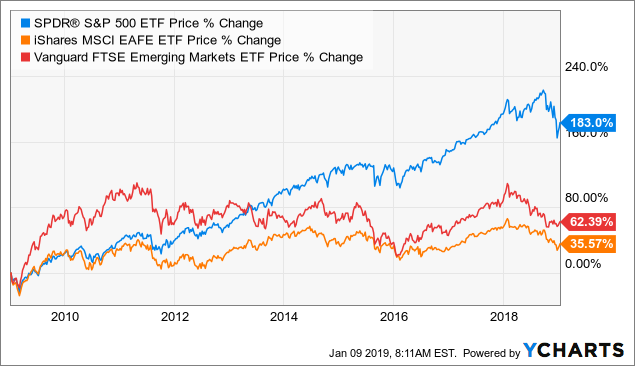 Even if you look for the cheapest stocks in the US stock market, those stocks can still be expensive when the US market as a whole is overvalued. When hunting for value, it makes a lot of sense to have a broad vision and search for opportunities among different countries and regions. Looking at the global landscape in terms of value, investors can currently get much more attractive prices in international markets than in the United States. Stock market returns depend on a multiplicity of variables, and many of them are practically impossible to predict. However, the starting valuation you pay for a stock is one of the few variables that you can actually control when making investment decisions, and it can have a massive impact on the returns you get over the long term. 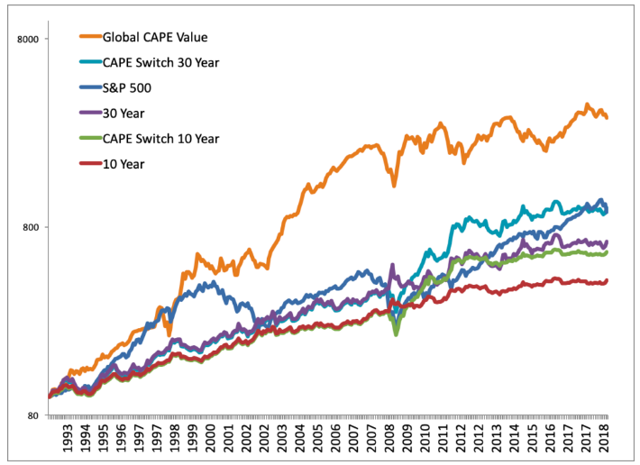 The chart below is from an excellent article by Mebane Faber showing how investors can optimize returns by choosing among different markets and asset classes based on long-term valuation metrics such as the CAPE ratio. The author explores a wide variety of combinations, but for the extent of our purposes, we can focus on the Global CAPE Value strategy. This is based on investing in the cheapest 25% of global stock markets as measured by the CAPE ratio. In other words, the strategy only buys the cheapest markets in the world. According to the data, from 1993 to 2018, the Global Value strategy produced a cumulative return of 3051%, more than tripling the 961% produced by the S&P 500 in the same period. Disclosure: I am long GVAL.